HOUSTON, Texas––Will torrential rains from Hurricane-turned-tropical –storm Harvey continue to batter southeast Texas for 40 days and 40 nights? Likely not, but disruptions to transportation due to high water probably will, with no point in Texas even half as high as Mount Ararat, Turkey, where Noah’s Ark reputedly came to rest. Damage to homes and businesses, including animal shelters and other animal care facilities, will take even longer to repair. But as of sundown on August 27, 2017, the extent of the damage is hard to predict, because as much as half the anticipated rainfall and flooding has yet to occur. Sweeping inland and drifting slowly over the rural South, rain and high winds from Harvey hit as far north as Little Rock, Arkansas, and were felt as far east as southeastern Tennessee, but the most catastrophic effects centered on Houston. Pre-planned animal shelter evacuations often just relocated animals from one hard-hit region to another, obliging further movements to escape the ever widening path of the storm. Weather experts had expected Hurricane Harvey, the biggest storm to strike the U.S. since Hurricane Katrina in 2005, would hit the Coastal Bend region hardest, from Corpus Christi to Rockport, with the highest winds and heaviest rain likely to fall over the sparsely populated region from South Padre Island north. Animal rescue teams prepared to deploy from Houston, Austin, San Antonio, and Dallas, only to find the disaster coming to them––especially in Houston, where the deluge had already brought as much as 30 inches of rain in three days and is expected to bring 50 inches or more in less than a week. Unlike after Hurricane Katrina, when disaster relief agencies tried to evacuate the entire population of New Orleans and many low-lying suburbs, leaving thousands of animals behind, relatively little animal abandonment is anticipated in association with Hurricane Harvey. Residents of Houston and other affected cities, other than those who voluntarily evacuated as the storm approached, have been advised to stay home and shelter in place, with their pets. But the total human population of Houston and suburbs alone is more than six times the total human population of the New Orleans metropolitan area, meaning that even if a much smaller percentage leave animals behind or surrender them to shelters than did in and around New Orleans, the animal rescue community could easily end up handling at least as many animals. At that, humane societies, animal control agencies, and other animal rescue organizations will have jurisdiction to help only about half––or less––of the estimated animal population in the region. Along with pets, the south Texas area includes many of the biggest biomedical research facilities in the world. “Both Covance and SNBL have facilities in Alice, Texas,” near San Antonio, mentioned Stop Animal Exploitation Now cofounder Michael Budkie in a posting to International Primate Protection League founder Shirley McGreal’s Facebook page. Between the two, Covance and SNBL may house well over 9,000 macaques. The south Texas region also includes many of the world’s biggest cattle ranches and dairy barns, several dozen major zoos and exotic wildlife sanctuaries, and both state and national wildlife refuges of significance. The Houston Zoo animals were all safe as of mid-day on August 27, 2017, according to Facebook postings, but the zoo was closed to the public, apparently for the duration of the rainfall and high water. Dallas Zoo personnel were prepared to accommodate evacuated zoo animals if necessary. The Wildlife Rescue & Rehabilitation sanctuary, of Bourne, Texas, and the nearly Primarily Primates sanctuary and Born Free USA Primate Sanctuary, all reported having undertaken days of preparation for whatever might come. All three sanctuaries have survived significant disasters before, including flooding. The first report of significant damage to animal care facilities to reach ANIMALS 24-7 came from Ingleside, a suburb of Aransas Pass. Said the Coastal Bend Chronicle, of Rockport, “The Ingleside Animal Control building has collapsed. Animals in the shelter were apparently left behind with animal control officers,” believed to be chief animal control officer Jennifer Salinas and assistant animal control officer Sue Cave. Aransas Pass animal control officer Jessica Dougherty told ANIMALS 24-7 that her agency had temporarily accommodated the Ingleside animals, while relaying as many as could be transported to Pets Alive in Austin and San Antonio. At the time she called, Dougherty said, three animals remained in the Aransas Pass shelter awaiting transport. Animal control shelters in Corpus Christi, Nueces, Robstown, and elsewhere in the Coastal Bend area also sent animals to Austin and San Antonio. Having experienced serious local flooding as recently as 2015, the Pets Alive facilities sandbagged the most vulnerable parts of their shelters. Thirty-nine of the animals arriving at the Austin Humane Society came from the Beaumont Animal Shelter, four hours east by the fastest route––which, ironically, passed through Houston, before anyone realized how hard Houston would be hit. “Most coastal shelters in the threatened areas have evacuated their animals,” blogged Humane Society of the U.S. president Wayne Pacelle on August 25. “Our team has assisted in moving 60 animals out of Corpus Christi shelters and into SPCA of Texas in Dallas,” Pacelle said. “Our senior state director in Texas, Katie Jarl, reports that the City of San Antonio Animal Care Services has set up an emergency sheltering system for evacuees arriving there with pets. The HSUS disaster relief staging area was set up at the Cleveland Amory Black Beauty Ranch, near Tyler, Texas, a six-and-a-half-hour drive from Corpus Christi, but only three and a half hours from Houston. As Hurricane Harvey subsided into Tropical Storm Harvey, and the continuing heavy rains hitting Houston became the focus of the disaster, the decision to set up at the Black Beauty Ranch instead of closer to the Coastal Bend was fortuitous. PetsSmart Charities had on August 24 delivered 20 tons of pet food to Houston, for distribution by the Houston Food Bank. Fortifying Houston to wait out Harvey also proved to be a fortunate choice. The Houston SPCA suspended routine program services a day later, “including appointments, adoptions, education and client care. Our work in the community will continue,” the Houston SPCA pledged, “including rescues, investigations and the care of our animals,” while the Houston SPCA Wildlife Center of Texas tried to remain open to handle rescued wild animals. The Houston SPCA acknowledged receiving two tons of Hill’s pet food “to help meet the needs of pets and people who may be affected by Hurricane Harvey.” The Houston SPCA was also designated to receive $5,000 in disaster relief funding from the Network for Animals, an international organization formed by Brian Davies, who earlier founded the International Fund for Animal Welfare and headed it for 29 years before retiring in 1998. Across the city, the other two major Houston-area shelters, the Houston Humane Society and Citizens for Animal Protection, both closed for the duration of flooding severe enough to make travel dangerous. The Houston Humane Society posted that it was “fortunate our buildings are not underwater. The far parking lot has flooded,” the organization acknowledged, “but water is slowly draining. We are lucky to have dedicated, key staff on site to medicate, clean, feed, and care for our residents. We have personnel staying overnight to be ready to take action if water starts to come in. Ironically, Citizens for Animal Protection had already endured a multi-day closure “due to a plumbing emergency,” which had prevented the shelter staff from using the CAPS washing machines and had obliged the shelter to rely on bottled water while repairs were made. But like every other animal shelter in the region, the SPCA of Brazoria County pleaded for help. “We currently have 366 pets (234 cats and 132 dogs) in our building with more coming in by the minute. Including pets in foster homes, we have 687 pets in our care,” the SPCA of Brazoria County posted. “With more parts of our county under mandatory evacuation orders, we are preparing for significant numbers of animals to arrive over the next several days. Brazoria County has a Companion Animal Shelter set up at the fairgrounds for owned pets of people under mandatory evacuation orders. 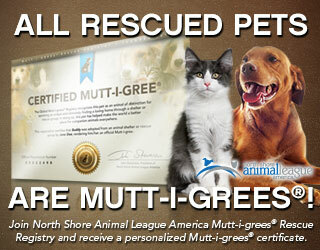 However, the owners must provide care and supplies for their own pets and come at least twice daily to care for them. Strays will continue to come to us until we can no longer accept them. “Some of our employees are flooded in or have evacuated. We have nine employees and a handful of volunteers here caring for 366 + pets. If you can help, we need you,” the SPCA of Brazoria County update finished. The National Animal Care & Control Association meanwhile was “preparing a list of animal control and animal care personnel who may be able to assist with disaster relief efforts associated with Hurricane Harvey,” but said that it would “screen potential responders before forwarding any names on to our partners. Under no circumstances should you self-deploy!” NACA warned. “If you were to appear at any location without receiving the authorization to do so, you would not be permitted to assist. Where was RedRover, the Sacramento-based organization long known for training disaster relief personnel, albeit recently refocused on humane education? But RedRover chief executive Nicole Forsythe did give at least one television interview about disaster relief preparation. 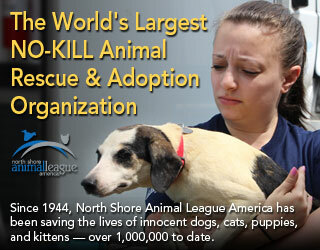 Where was American Humane, which likes to claim that it has the oldest animal disaster relief program in the U.S.? American Humane, as of sundown on August 27, 2017, appeared to have done little more than post photos of how it showed off a disaster relief truck at a vaccination clinic in Walker, Louisiana, with further text apparently copied from media releases issued after the truck was unveiled at the East Baton Rouge Parish Animal Control & Rescue Center a year after Hurricane Katrina, i.e. in 2006. The ASPCA, as of sundown on August 27, 2017, had only posted to Facebook one announcement, offering a free downloadable “app” of only tangential relevance to the ongoing crisis. At that, though, the ASPCA had done more than at least two other organizations, one of them apparently lacking nonprofit status, that had initiated aggressive online fundraising campaigns in the name of helping animals caught up in Hurricane Harvey. Verify all claims through independent sources before sending money! Shame on ASPCA with all their expensive, tear jerking/sad background music commercials for funds…same for American Humane. And Brian Davies, only $5,000??? Really? Thanking you and sharing to social media. Great comprehensive overview of rescue efforts and suggestions for individuals wishing to help. Thank you for providing this. If there are any survivors how long will they be able to survive? Officials are advising against road travel to the area. So who are the two organizations that you refer to in the statement “At that, though, the ASPCA had done more than at least two other organizations, one of them apparently lacking nonprofit status, that had initiated aggressive online fundraising campaigns in the name of helping animals caught up in Hurricane Harvey.” Please let us know. I give a lot of money to organizations so they can provide real disaster relief and want to spend my money as effectively as possible. (I really miss your yearly Watchdog Reports!) Thanks. Trying to name every organization that tries to raise money by making bogus claims associated with a disaster tends to be a disaster in itself, because an ad hoc organization without nonprofit status can change names & rhetoric almost instantaneously, while a dishonest organization that does have nonprofit status can hastily throw a few dollars toward a legitimate local charity, while keeping everything else it raises, and hide behind the image and work of the legitimate charity. Far more effective is to name the charities that are verifiably doing work on the scene of the disaster, or are otherwise rendering aid on a significant scale. Donors can ensure that their money goes where it should by avoiding organizations whose sole evidence of existence is a “GoFundMe” page and/or other pages on social media; organizations that do not specify what exactly they are doing to help animals in the disaster area, where, when, and how; organizations that claim to be all-purpose channels for funneling money to a variety of unspecified groups to “help the animals”; and organizations that claim to be first responders, but are neither physically located within the disaster area nor accredited by the Federal Emergency Management Agency to work in disaster areas. Good answer! I sent the article to a friend who is very involved in animal rescue. He replied: Thank you for sending this. It was a wealth of information. It sounds like a lot is being done. It must have taken a lot of research, in a short period of time, to pull all this information together. Thanks for thinking about the animals and helping them. How about exotic animals that are pets, like rabbits, birds, turtles, snakes, and other small animals? Also you said that there was lot of farms how about cows and horses? I know we cannot save them just was wondering if their was place where they were move too. 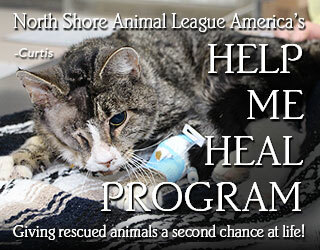 Also I would like to give a donation to help with care of the animals–how do I do that? We’ll be following up, responding to many of these questions, as rapidly as possible. This is exactly what I am trying to find out. All I can find is cats and dogs. Surely, someone is working with caged animals. I have limited space and I have experience with many types of rodents, small exotics, birds, reptiles and farm animals. I am trying to find organizations dealing with these that I can donate to and if needed, adopt or foster for. These types of weather disasters will increase as climate change continues.The animals will always be considered last, if at all, as people are evacuated. It is extremely difficult to find areas large enough to shelter dogs, cats, and small critters, much less horses and other larger animals. I have worked in emergency animal rescue and in animal cruelty investigations and I can say with conviction that the breeding/ domestication/ enslaving of animals needs to stop now. It will take decades to actually have any impact on the already overpopulated ” domestic” animal populations. Let’ s stop bringing other sentient creatures into this world who have no control over their lives and who will always be at our mercy. RedRover was invited by SPCA of Texas to help with temporary sheltering in Dallas (we cannot deploy without an invitation from a lead agency, and were in constant contact at the ready). RedRover Responders have been on the ground since Thursday, August 31, and are staying through to help them through tomorrow, Wednesday, September 6.